Peppa Pig has Bad Parents. 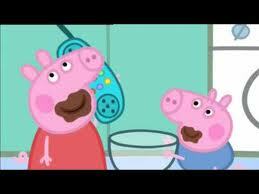 Is it just me, or is Peppa just not a very good role model for our kids? I chose Peppa Pig because I saw endless children who were obsessed with the characters, and because we had received a book with Peppa and George in our Bookstart pack from the library, and R brought it to me to read about 7 times a day. And it’s a cute show, with simple and sweet story lines. For those (luckily) not in the know, the family of pigs consists of Mummy and Daddy Pig, Grandma and Grandpa Pig (I assume Daddy Pig’s parents given the matching surname?) Peppa, who seems to be about 3 or 4, and her baby brother George, somewhere between 1 and 2. Oh the hiijinks they can get up to in five minutes! So what bothers me? A few things, and I preface this by saying I know I’m probably being over the top, and also that I have only seen approx half of the first season and none of the others. Does anyone else notice the amount of times Peppa exclaims “Naughty Daddy!” or “Messy Mummy!” or “Silly Naughty Daddy!” and the entire family erupts into peals of laughter? I see that the parent in question normally joins in the laughter, so I wouldn’t say it’s exactly encouraging bullying and teasing, but surely there is a correct way to talk to your parents, and this just isn’t it! Aren’t we showing our kids at their most receptive time for learning that it’s okay to use words like naughty and silly, and not only use them but direct them to their mums and dads? Worse still, the parents reinforce this by using the same language to each other in front of the children too. Over the top or not, I find it uncomfortable. I know they are a family of pigs, so maybe I’m fighting a losing battle with this one, but is there ONE episode of this show where they don’t consume junk food? Biscuits, Pancakes, Chocolate Cake, Cookie batter… and all eaten in two swift bites! Would it kill the writers to give Peppa an apple? Daddy Pig works in an Office. He has a flashy laptop and a big desk. If Mummy Pig does any work, it is condescendingly referred to as Very Important, and is done on the Amstrad PC she has upstairs in her bedroom. Of course, the second the computer stops working, she is all a flap and calls Daddy Pig to fix the big mean problem. He promptly turns it on and off again to rapturous applause from the females and children. Phew. What would we do without big strong men-folk.. er, pig-folk. If the Pig residence was a real household, Super Nanny would have been called years ago. Because there is no way that Peppa and George would be such well behaved kids with the lack of discipline they are shown. Peppa and George are jumping in Muddy Puddles. They are head to toe covered in filth. Don’t get me wrong, there are far worse characters out there, who promote much more dangerous activities than pumpkin smashing and mud slinging. And far less educational shows for toddlers as well, which seem to consist of nonsense being babbled at my baby for twenty or thirty minutes. (If I wanted that, I would put him in front of a mirror.) In comparison, Peppa Pig is pretty harmless. Yet it bothers me that in any episode where Peppa does something naughty, she either looks sheepish for about 3 seconds until her family erupts into laughter, or she says “sorry Daddy/Mummy” in the singsongiest of voices until she gets a tooth decaying treat for her trouble. I’m not saying they should fill the show with Peppa sitting on the naughty step and receiving lessons on her 5 a day. I’m just not sure I want R looking up to her that much either. 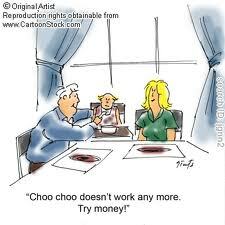 Adventures of a parent, working from home. Today may be the last day of my previously mentioned optimistic attempt to Work From Home. Apparently my son is on a crusade to make it as obvious as possible that he is not happy with the lack of attention he is getting on a Monday and Tuesday morning. This morning, after a while in his playroom, I heard the whinging begin, and opened the living room door to let him explore the house a bit, hopefully giving me an additional half hour to finish off my current task. It all began well, he immediately went to the magnets on his bedroom radiator, and was happily playing while I returned to my laptop. A few minutes later I see him wander on hands and knees into the kitchen, no doubt to helpfully remove all the food pouches from the shelf and tip out my box of child friendly cutlery. The kitchen being, believe it or not, one of the safer places in our flat, I decided to leave him to it. A few minutes later, I am suddenly aware of how quiet it is. As every parent knows, it is not the noise you have to fear, the real trouble begins when you hear absolutely nothing. Quickly entering the kitchen, I hear an all too famillar noise. “Mm nyum myum.” From behind, I can see that R has sat himself happily by the now open snack cupboard. Oh disaster, I mentally list all the forbidden foods we currently have in stock. Chocolate, crisps, marshmallows, gummy bears, even boiled sweets and other choking hazards. Rushing over to him, I glance at the floor and spot half a bar of chocolate discarded next to my son. In his hands, the other half of the bar, half covered in the cardboard casing, with chocolate sticking out over the top, in easy reach of my son’s waiting mouth. Of course, he isnt interested in the chocolate part of this naughty treat. He is far too busy chewing on the aluminium foil wrapping. That’s right, with chocolate a-plenty within swallowing distance, I instead spend the next 2 minutes removing pieces of tin foil from my sons mouth and hands, to great protestations. This story kind of reminds me of the biblical tale of the first time King Pharoah met baby Moses. The story goes as following. To test the intentions of this tiny babe, the king placed two bowls in front of the baby. One contained gold and jewelry. The other, glowing shiny coals. If Moses reached for the coals, like any baby would when presented with something shiny, he passed the test. If he instead went for the apparently dull looking gems, the king would know he was after his crown, and remove him from the palace. Moses, being indeed cleverer than his years would suggest, reached for the treasure, and if not for an angel of God moving his hands to the coals, perhaps we would not be here today. Apparently, my son is not the next Messiah. Not only did he fail this test, being enthralled by the shiny foil as opposed to the treasure of chocolate, I would bet money that when Moses was taken away from his treasure, he wasnt as easily placated with half a cracker.